Are There Any Shortening Substitutes? Baking recipes for cakes and cookies, especially the older recipes, used to call for shortening that has been replaced by butter or margarine in today’s recipes. So what is shortening? And is it possible to substitute these ingredients with each other? Vegetable oil like soybean or cottonseed oil is used to make a solid fat, which is referred to as shortening. The name "shortening" is derived because when it is used along with flour, it shortens the gluten strands. Shortening is 100% fat, as compared to 80% fat in butter or lard. This makes the baked good very tender and hence it is mainly used in baking and not in other types of cooking techniques. When shortening is used along with wheat in dough, it interferes with the gluten matrix's formation and helps in getting the right texture in baked goods. Without shortening, the goods will end up becoming gummy or chewy. The fat prevents gluten strands from sticking to each other when adding liquid, working as a barrier. This ensures that the baked goods turn out softer than the ones made by using butter, which usually makes the goods have a crispy texture. 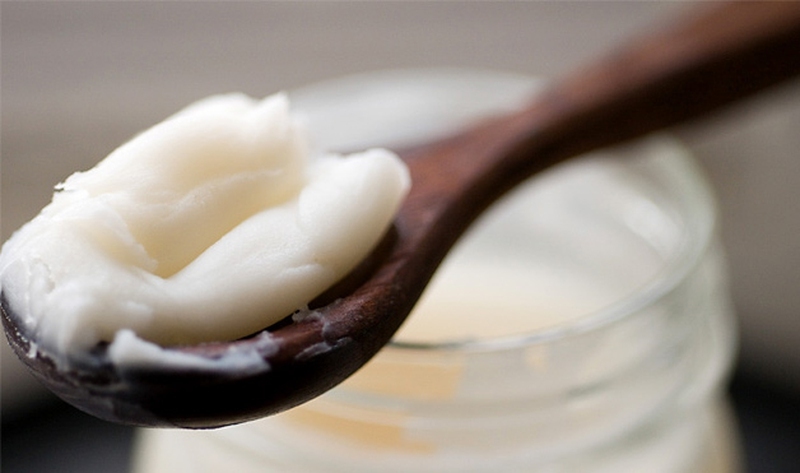 Before using it in any recipe, the shortening should be softened, melted or creamed. The 100% fat content ensures that the cakes, cookies or pie crusts turn out tender and crumbly. To let the shortening take its effect, you need to cut it into the flour. The tools which can be used are pastry cutters, knives, food processor or even hands. The solid fat gets cut repeatedly into smaller bits and is coated with flour at the same time. The texture of the baked product will be determined by the final size of the fat pieces. If the fat gets a pea size, the product will have a flaky texture, like that of a croissant or pie crust. If the piece is like that of coarse sand, the product like streusel with a crumbly texture will be obtained. If you intent to choose a kind of shortening for your recipe, you can click here to know common brands you can find in supermarket. Some people might want to substitute shortening in recipes for health reasons or non-availability of it. The substitution depends on the type of recipe being tried out. Given below are different types of substitutes and when they can be used. But you should know these substitutes might not work well in all recipes. These two ingredients can be used to replace shortening for any recipe. You can use around 1 cup of butter or margarine, when the recipe calls for 1 cup of shortening. It is also important to use less salt when using butter or margarine instead of shortening. Note: The time and temperature of baking should also be changed when using butter instead of shortening in a recipe. This is because butter browns quicker than shortening and requires short time and high temperature unlike shortening, which can be baked at lower temperature for longer time. Many types of shortening are prepared from lard and then it is a good substitute. You should use 2 tbsp. of lard, when 1 cup shortening is required in a recipe. Note: Lard can impart the flavor of the finished product, so it is better to try a small dish to see if you can enjoy the taste or not. The best type of oil which can substitute shortening is olive oil, since it is healthier than other oils. It should be used in the same quantity as shortening: 1 cup for 1 cup. Note: Oil as a substitute should be only used when shortening has to be used in melted form, like in frying. Cooking spray can be used as a substitute only when the shortening is used for greasing the pan or dish and not for anything else. Note: It cannot be used as substituted for any other shortening purpose. Server responsed at: 04/22/2019 4:21 p.m.